Gerald and Ethel Lierz will celebrate their 60th wedding anniversary with an open house from 1 p.m. to 4 p.m. on Saturday, Feb. 25, at the Holton Country Club, 22304 Q Rd. Friends and extended family are invited to join the celebration. No gifts please. 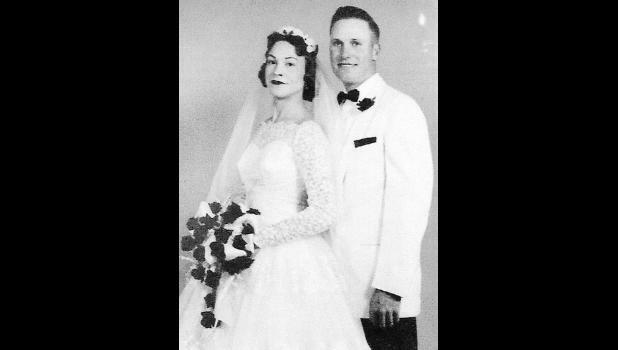 The couple was married on Feb. 25, 1957 at St. Bede’s Catholic Church in Kelly. They have lived most of their married life in Holton. Gerald is retired from Goodyear. They have three children, Colleen (Russ) Hill, Round Rock, Texas; Tim (Stacy) Lierz, Topeka; and Doug (Donna) Lierz, Topeka; six grandchildren and four great-grandchildren.